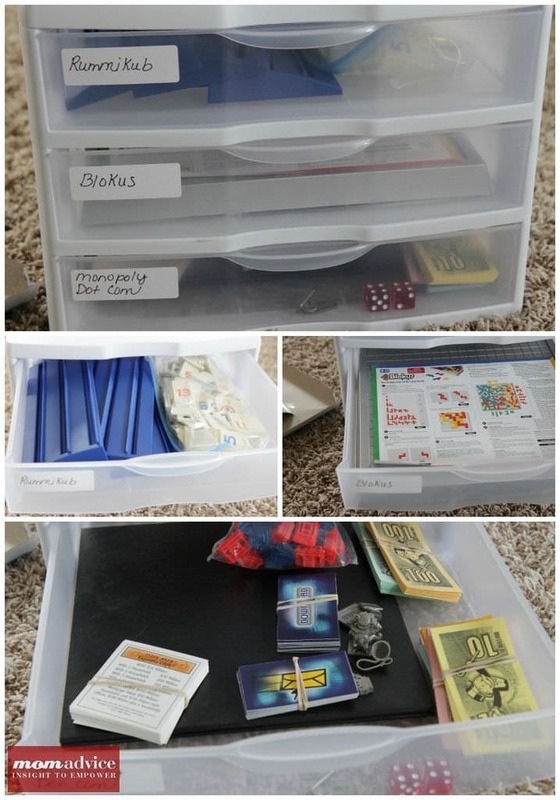 Organize your board games with these easy solutions for your family. 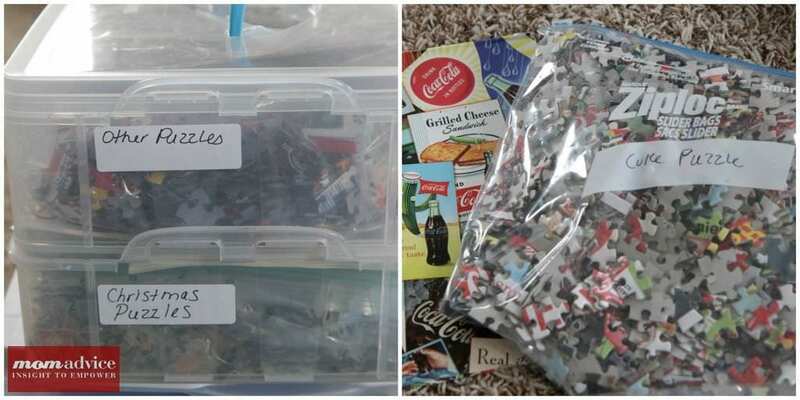 This has been one organizing strategy in our home that has stood the test of time over the years. You won’t believe the before & after! 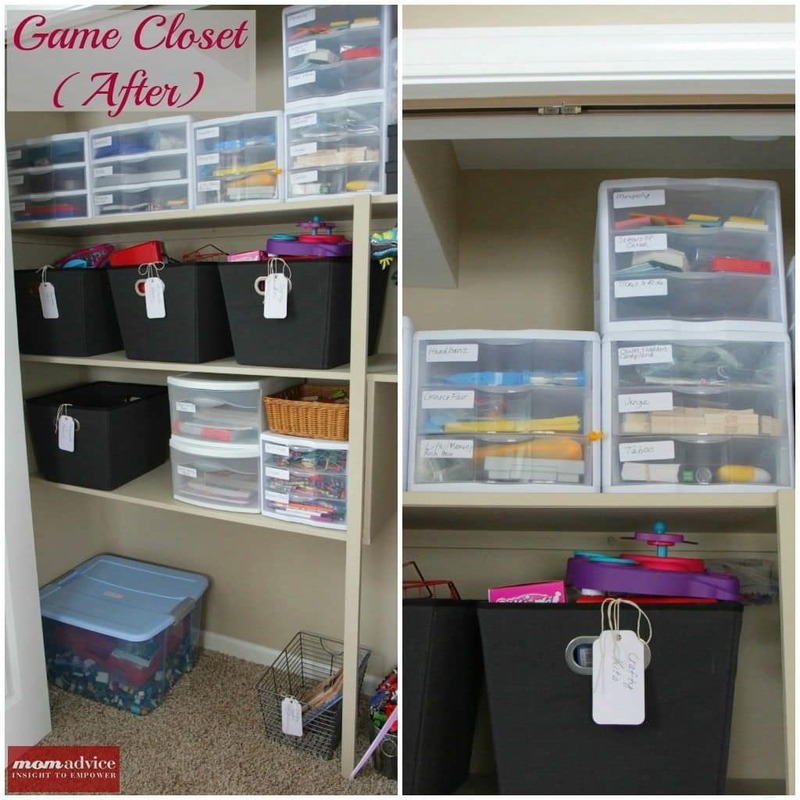 Now that Christmas is behind us, I find myself inspired to get my home organized again. 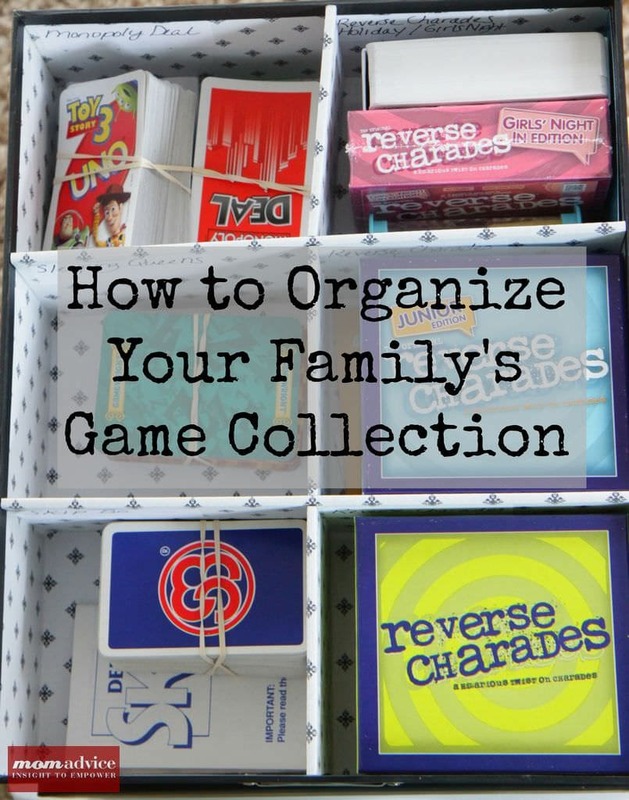 One area in our home that always needs attention is our disorganized board game collection. 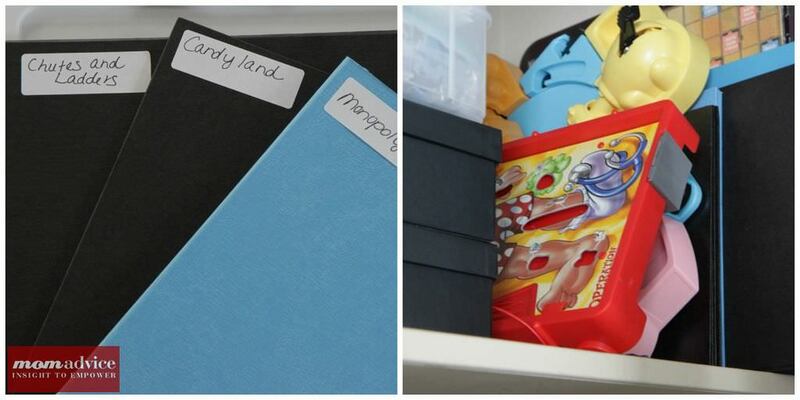 Organizing your board games and card games is easier than you think, it just requires a few organizing tools, a little patience, and the ability to let go of the things that are taking up valuable space to make space for the good stuff in your home. In full disclosure, here is my SCARY before picture. This was supposed to be a beautiful little closet for my kid’s toys, our games, and our art supplies. Each time the closet was open, I covered my head. I am a very petite woman so when I would reach for a game, I would find a leaning tower of games attacking me and often found myself in an avalanche of games and toys. I decided to do some research to see if I could find some ideas from other bloggers on how to rectify this situation. 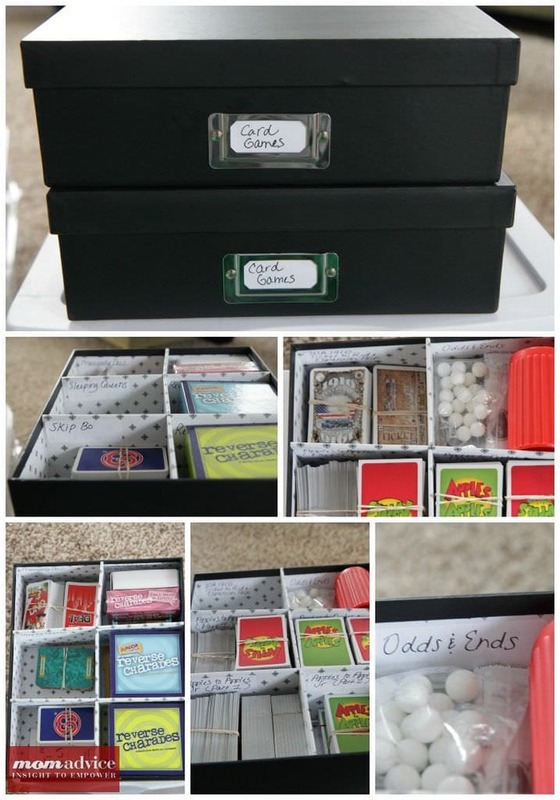 Although there were a lot of great magazine ideas, I didn’t find very many real family solutions until I happened upon this great post on board game organization from Raising Lemons. I used that as a template to get started and then headed to my store to create my own solutions for our problematic areas. All games were removed from their boxes and then each game went into a designated drawer. Larger games that had a lot of parts to it (like Blokus, Rummikub, or Monopoly) fit well into the large Sterlite drawers. 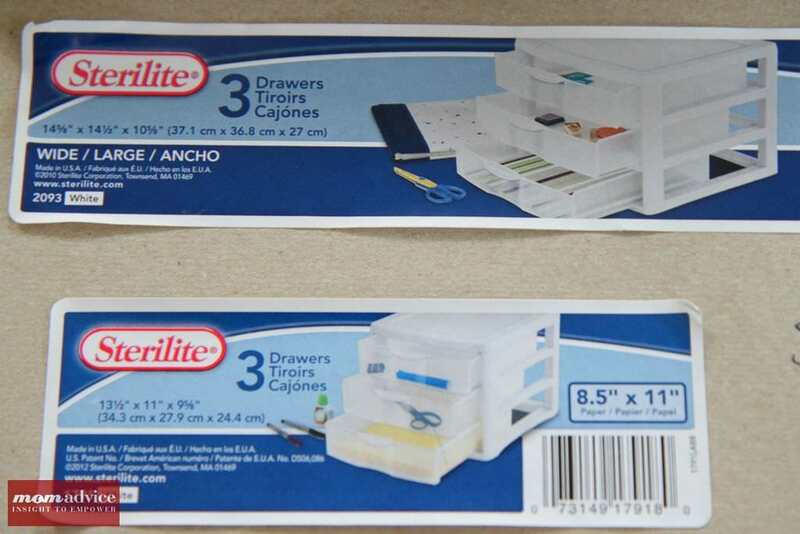 Smaller kid’s games fit easily into the medium Sterlite drawers as well as games where the board would not fit into either container (more on that soon). For really small games like Memory or Rush Hour, we found one drawer could fit two or three games, which helped to maximize this storage solution. For larger board games, I labeled boards that we wouldn’t easily be able to figure out what they were, and set those to the side along with a couple of those irregularly shaped games (like Operation, our deluxe Scrabble, and our Hungry, Hungry Hippos). By removing the useless boxes, this tiny little pile of boards really doesn’t take up very much of our space. We had oodles of card games, many that were dusty and had been forgotten on that top shelf, so I used two Document Boxes that I found over in the office supplies to create storage for these games. This was a great place to not only store these games neatly, but I also dedicated a little section to the odds & ends pieces that we might need for future games. The odds & ends spot houses marbles, a few extra game pieces, decks of cards, and several dice. Large games like Apples to Apples had to use two spots, but it still beats having the boxes. I like that all of these odds and ends are concealed neatly, and it will make taking a box of games a lot more fun since there are several in just one box! Our puzzle collection had also gotten out of control. 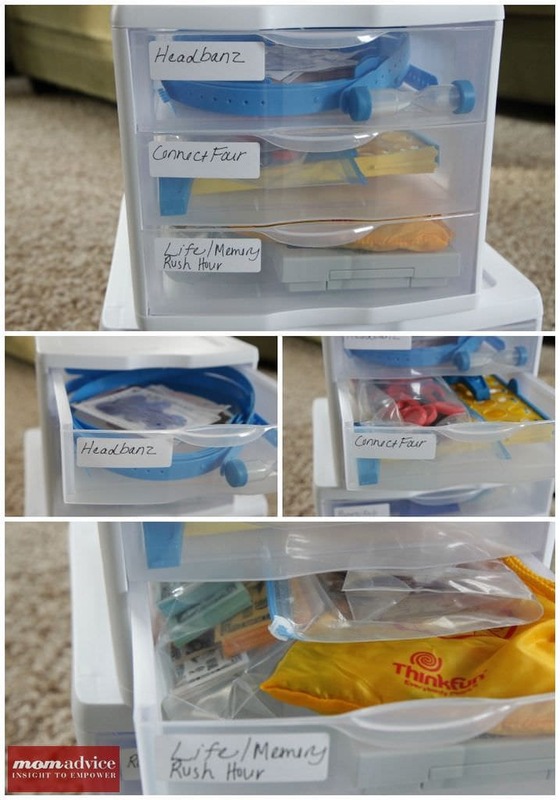 I found a Snap-It organizer (over by the drawers/plastic bins) that has a handy handle and it all snaps together for easy toting. We divided our puzzles into two categories (holiday & other). It will make finding our Christmas collection a little easier. I cut the front of the boxes and labeled heavy-duty freezer bags with the puzzle name or description so we could locate them easily. Since I was on a roll in that closet, I decided to get the rest of the kid’s stuff organized. I whittled their toy collection down to half and organized their art supplies into the same drawer organizers (these were all things we already owned). 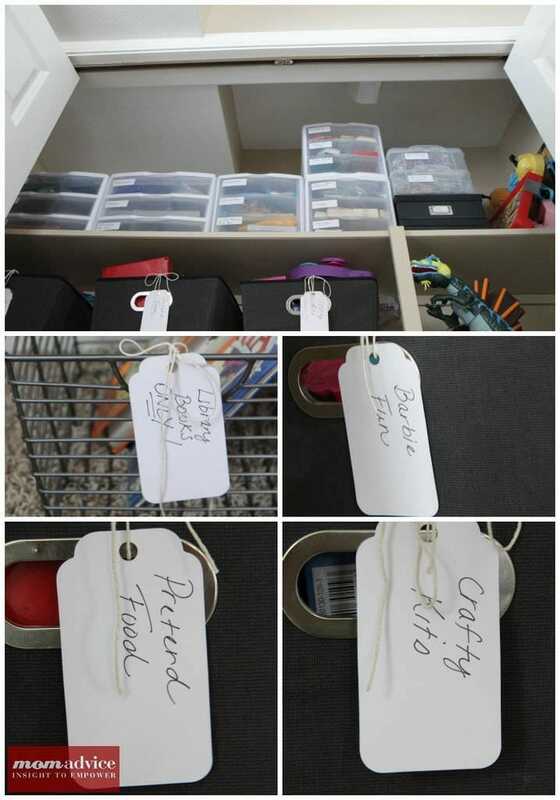 I had old-fashioned labels in my craft supplies so I hung fresh labels with a little bakers twine and labeled our canvas bins so the kids knew exactly what they were pulling down. Each child now has their own coloring book drawer and all of the random boxes of markers, crayons, and pencils were all condensed into one drawer organizer. After losing countless library books because they are mixed in with their own books, we now have one basket designated. The other books were moved down to our downstairs game cabinet because (you won’t believe this!) all of the games from our downstairs cabinet all fit in our upstairs cabinet so I could turn the other cabinet into a spot for all of their books. That is a huge storage bonus for us! I can’t say I do! For the games we travel with to our friend’s house (Ticket to Ride, Settlers of Catan, etc..) we have a couple of boxes stored in the basement. The rest of the games stay at home and this solution is so ideal for our space and offers oodles of visual appeal. 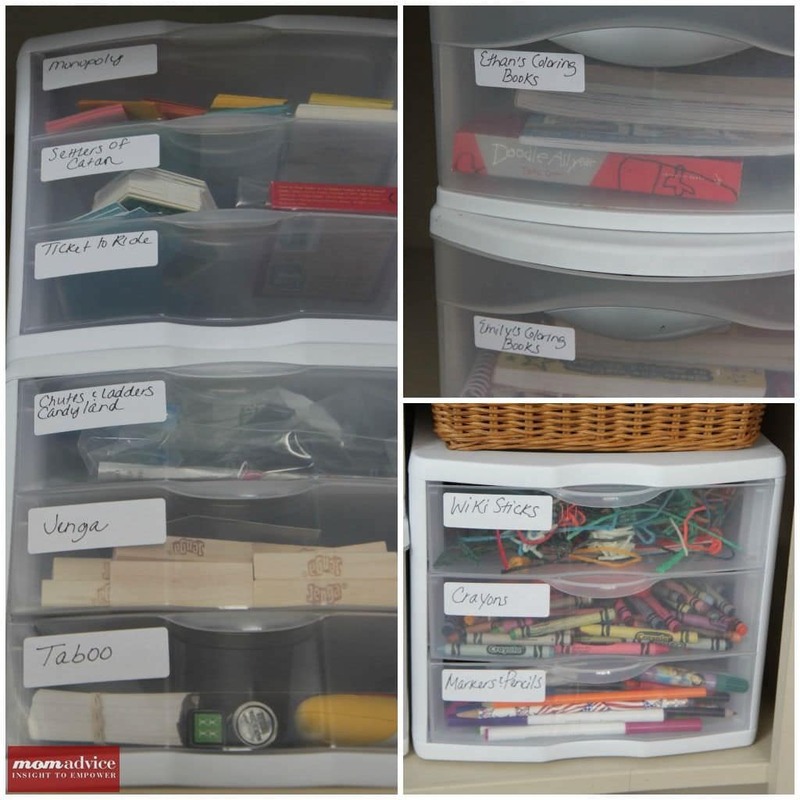 Looking for more great organizing advice? Check out these posts! 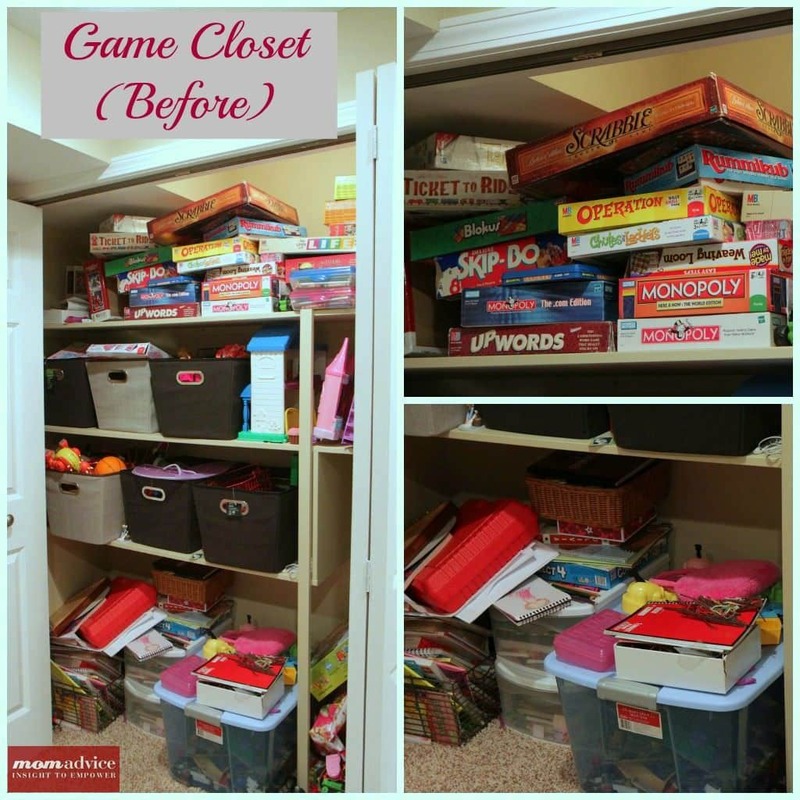 Have any tips for organizing your game collection or toy closet for the New Year? I would love to hear them! Giveaway Closed: 5 Autographed Copies of, "The Good Life For Less!"